I have been going through one of most stressful periods in life. It has been very tough making decisions of which directions to go in the care of my son while he is in the hospital. Most of the doctors don’t believe he is going to make it, but I see some signs to think otherwise. I believe that my son is trying to get better. Having an economic strain and juggling bills is also adding to my stress level. For some people your stress can stem from your job or your dealing with a health issue. 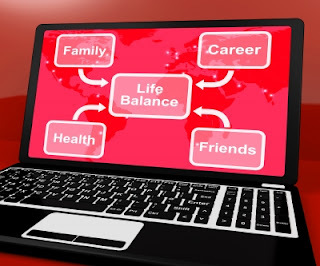 Whatever your problem may be you have to bring find a way to bring balance into your life. The following are some of things I do to relieve my stress levels. · Find some “me” time. The first tip is to find some “me” time. Taking some time out for yourself can be difficult for people with busy schedules and lots of responsibilities. Having some “me” time can help you to relax and clear your mind from worries. Some of the things that you can do can range from getting a massage to simply taking a nice soothing bath to relax. Another tip is to exercise. Exercising is an excellent stress reliever. Instead of holding in all of your ill feelings and emotions, you can release your negative energy through physical activities. These activities can include aerobics, yoga, tennis, jogging, and etc. The next tip is to stay healthy. Take charge of your health by implementing healthy habits into your daily regiment, this can help your reduce stress. Many people handle stress in different ways. When managing your stress levels it is important to choose the best habits. Some habits are negative while others are positive. Some examples of negative habits ways that people cope with their stress are to over eat or drink too much alcohol. And some examples of positive ways of coping with stress is eating healthy and maintaining an active lifestyle. Having a fun outlet or activities can help clear your mind. When I am stressed, sometimes I look into my hobbies as an outlet. I enjoy painting and using watercolor as my medium. Any type of creative activity such as art can help you reduce stress. It is very therapeutic in relieving stress. Gardening is another outlet that has allowed me to ground myself and become more calm. And the last tip is to surround yourself around positive people. When you surround yourself around negative people it can make your life more difficult and create an even more stressful environment. Be careful who you allow into your inner circle. Make sure the people you associate with are not root of your problems. There are going to be some stressful circumstances that may come in your life. How you cope and handle your problems is what can make your or break you. The key to coping is to figure out what positive things you can do help you to reduce your stress levels. And once you figured it out what helps you cope with stress, you should find creative ways to incorporate it into your busy lifestyle. Hi peeps! 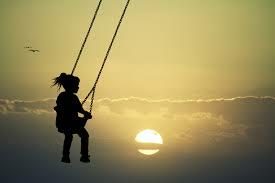 :) In this video, I talk about loving and healing your inner child. I share my experience with having dyslexia as a child and how it affected my self-esteem. I also talk about parenting and how important it is for children to know and hear their parents tell them that they love them. This v-log shows how you too can love and heal your inner child, from wounds of your past. Don't forget to like and subscribe to my Youtube Channel! 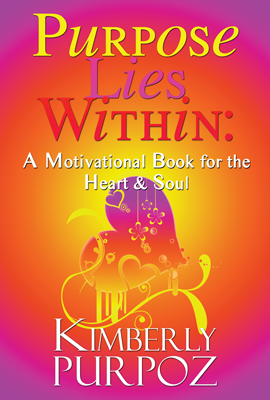 :) Coming soon in my new e-book Purpose Lies Within: A Motivational Book for the Heart & Soul! !